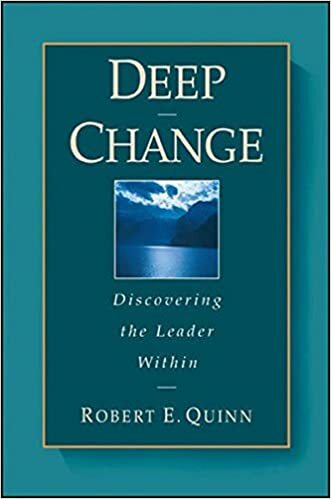 Robert Quinn is an expert in transforming leadership. Here are my favorite quotes from Deep Change. Deep Change assumes that one person can change the larger system or organization in which he or she exists (p. xii). When we have successful experienced a deep change, it inspires us to encourage others to undergo a similar experience….Having experienced deep change in ourselves, we are able to bring deep change to the systems around us (p. xiii). Our capacity to face uncertainty and function in times of stress and anxiety is linked with our self-confidence, and our level of self-confidence is linked with our sense of increasing integrity. We are all affected by technical competence or political acumen, but we are more deeply influenced by moral power (xiv). The process of formalization initially makes the organization more efficient or effective. As time goes on, however, these routine patterns move the organization toward decay and stagnation. The organization loses alignment with the changing, external reality. As a result, customers go elsewhere for their products and services, and the organization loses critical resources. When internal and external alignment is lost, the organization faces a choice: either adapt or take the road to slow death. Usually the organization can be renewed, energized, or made effective only if some leader is willing to take some big risks by stepping outside the well-defined boundaries. When this happens, the organization is lured, pushed, or pulled into unknown territory (p. 5). We can change the world only by changing ourselves (p. 9). Traditional learning is learning linked with the past–it is learning something that someone else already knows. “Traveling naked into the land of uncertainty” allows for another kind of learning, a learning that helps us forget what we know and discover what we need (p. 12). A victim is a person who suffers a loss because of the actions of others. A victim tends to believe that salvation comes only from the actions of others. They have little choice but to whine and wait until something good happens. Living with someone who chooses to play the victim role is draining; working in an organization where many people have chosen the victim role is absolutely depressing. Like a disease, the condition tends to spread….When someone makes the initial decision to avoid confronting a difficult situation, a negative process is triggered….Often, without fully realizing it, the person has taken on the victim’s role (p. 21). We actually seem to prefer slow death. Slow death is the devil we know, so we prefer it to the devil we do not know (p. 24). Life is a process of deaths and rebirths (p. 25). One key to successful leadership is continuous personal change. Personal change is a reflection of our inner growth and empowerment. Empowered leaders are the only ones who can induce real change. They can forcefully communicate beyond a level beyond telling. 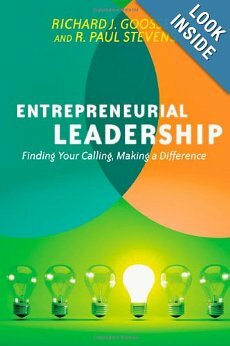 By having the courage to change themselves, they model the behavior they are asking of others (p. 35). One of the last things we want to consider is our own selfishness and immaturity. We resist reflecting on our own fear of change (p. 36). The amount of energy we feel has much to do with the alignment between oneself and our surrounding environment. We can be aligned with our environment in such a way that we feel either strong and empowered or weak and powerless (p. 41). The hero’s journey is a story of individual transformation, a change of identity. In embarking on the journey, we must leave the world of certainty. We must courageously journey to a strange place where there are lots of risks and much is at stake, a place where there are new problems that require us to think in new ways (p. 45). When an impossible objective is given to people in a large hierarchy and when it is accompanied by immense pressure to produce, the people in the organization will also experience growing pressure to engage in unethical behavior. An invisible form of corruption at the top, the exercise of authority without concern or demand without support, results in a very visible form of corruption at the bottom (p. 52). Denial occurs when we are presented with painful information about ourselves, information that suggests that we need to make deep change. Denial is one of several clear paths toward slow death. When we practice denial, we work on the wrong solutions or on no solutions at all (p. 52). We need to watch carefully for signs that we have crossed the invisible line [the line between increasing returns and decreasing returns on our efforts]. When this occurs, we need think about breaking the logic of task pursuit and charting a course toward deep change and renewed vitality (p. 55). A hermit, who lived far out in the forest, would cut enough wood each summer to heat his cabin through the winter. One fall day, he heard on his shortwave radio that an early winter storm was heading for his area. Because he had not yet cut enough wood, he rushed to his wood pile. Examining his dull and rusty saw, he realized that it needed sharpening. He paused for a moment, looked at his watch, looked at the height of his uncut wood pile, and shook his head. Instead of sharpening his saw, he began to cut. As he worked, he noted that the saw was getting increasingly dull and that he was working harder and harder. he told himself repeatedly that he needed to stop and sharpen the saw, but he continued to cut anyway. At the end of the day, as the snow began to fall, he sat exhausted next to a sizable pile of uncut wood. This man was not ignorant. He knew his saw desperately needed sharpening. He also knew that the more he cut, the duller the blade would become. Yet he could not bring himself to stop and sharpen the saw. This man [made himself the — edit by svveen] victim of the logic of task pursuit (p. 59). We have to reinvent ourselves so that we can meaningfully connect with our current world. This is not such a radical thought; it’s actually an ongoing process (p. 66). One way to realign the self is to retell the most important stories in our life….When we repeat one of these stories, we do not tell it exactly. We recount it from the perspective of our current problem. It is presented in a unique way that allows us to reconnect our past foundation with our present and future structures. 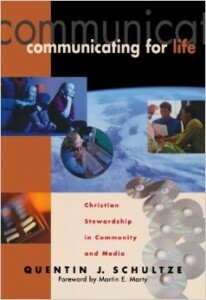 In fact, what we are really doing is realigning our past to include our present and future (p. 67). The heart of effectiveness, Torbert argues, is building integrity through the constant observation of one’s lack of integrity (p. 76). Ultimately, deep change, whether at the personal or the organizational level, is a spiritual process. Loss of alignment occurs when, for whatever reason, we begin to pursue the wrong end. This process begins innocently enough. In pursuing some justifiable end, we make a trade-off of some kind. We know it is wrong, but we rationalize our choice. We use the end to justify the means. As time passes, something inside us starts to whither. We are forced to live at the cognitive level, the rational, goal-seeking level. We lose our vitality and begin to work from sheer discipline. Our energy is not naturally replenished, and we experience no joy in what we do. We are experiencing slow death (p. 78). Organizational and personal growth seldom follows a linear plan….When we have a vision, it does not mean that we have a plan. We may know where we want to be, but we will seldom know the actual steps we must take to get there. We must trust in ourselves to learn the way, to build the bridge as we walk on it. Deep change is an extensive learning process. When we pursue our vision, we must believe that we have enough courage and confidence in ourselves to reach our goal. We must leap into the chasm of uncertainty and strive bravely ahead (p. 84). There comes a time when we all question whether something is right. At such times, we have to listen and follow our inner voice, even when it means tackling the system and enlisting some unconventional procedures and techniques. One person can make a difference. However, deep change comes at a great cost. Enacting change means taking some risks. When we take the necessary risks, we become self-empowered. We begin to better align our internal self with our external world. As our internal power base grows, we become confident and make genuine progress toward our goal. We become energized and slowly begin to recognize that we can make a difference. We begin to understand that one person really can change the system (p. 218, 219).